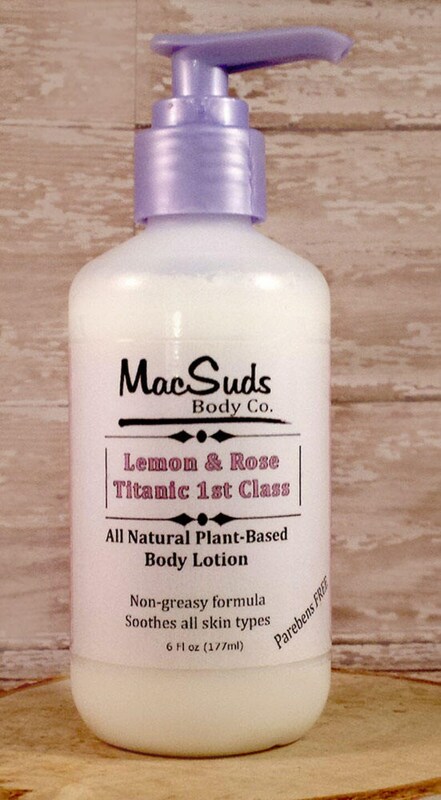 Lemon & Rose Hand & Body Lotion deeply moisturizes while preventing early signs of aging. Leaves skin feeling smooth and youthful looking. Made with natural and organic ingredients. Although it is doubtful that lotion was also provided to the cabins I feel the scent combination is so wonderful it would make a lovely lotion as well. Why not purchase the soap and lotion and have complete set. It also makes a perfect gift. Ingredients: distilled water, almond oil. Avocado oil, mango butter, emulsifying wax, fragrance oil. After much trial and error I hit upon a formula that is nourishing, creamy, and luxurious to the skin. In addition, I use raw organic shea butter that grabs those oils and pulls them though all the layers of skin. I hope you enjoy your organic natural handcrafted body lotion as much as I enjoyed creating it for you. Please give my products a try. You have nothing to lose. And moist healthy skin to gain!